A well-rounded pack specifically designed to kick start your weight loss journey with balanced daily nutrition and help you reach your weight loss goals. 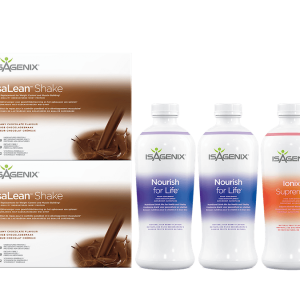 Read Isagenix 30-Day Weight Loss System reviews from real Isagenix UK customers! 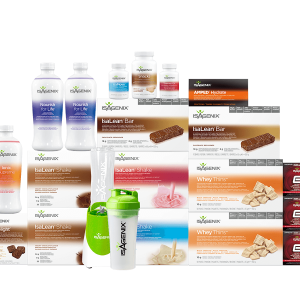 A superior suite of products for ultimate weight management success. 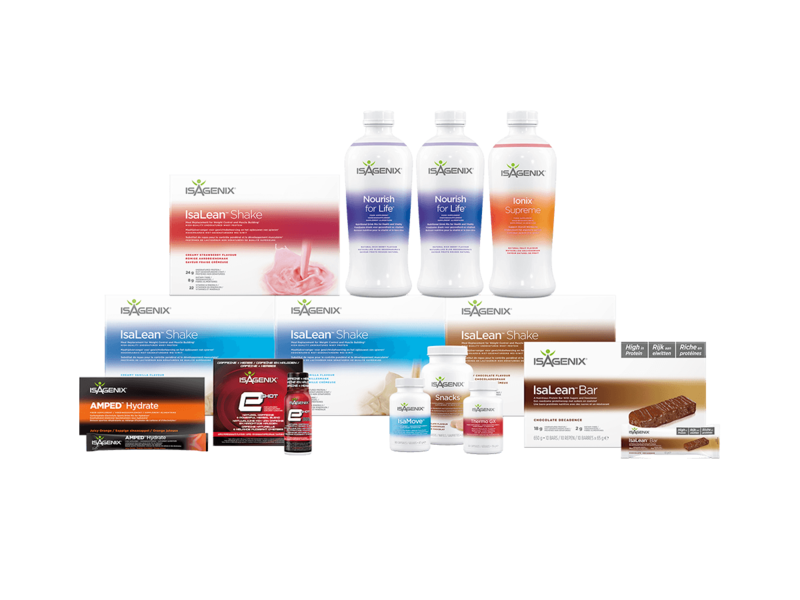 The Premium Pack includes everything in the 30-Day Weight Loss System as well as other complementary products to support your healthy lifestyle and share with family and friends. Contains premium whey protein and essential nutrients to support your body and weight management. It’s perfect for cleanse days. 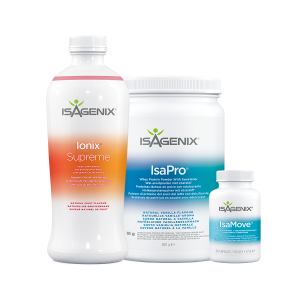 The Bedtime Bundle provides you with everything you need for a great bedtime snack that combines IsaPro® with Ionix® Supreme, followed by 1-2 IsaMove Capsules. This combination of whey protein and other nutrients can help to support your goals.